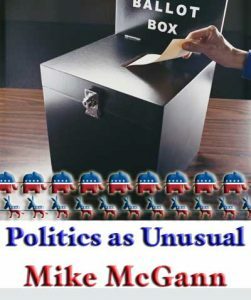 Mike, your no-nonsense views and clear-eyed perspective have provided great analysis of what passes for political discourse in the local and national arenas. In addition, the reporting you have done on local issues – schools, particularly, have been useful and have provided a forum for an exchange of views and rebuttal. Such a platform is always helpful to discuss views and it’s been nice that some of the school board members took the time to read and respond. Thank you for your work through good times and bad. I hope you will still have time to contribute the occasional column. Mike, you have kept me anchored to the local scene. I have often been hijacked by the national merry-go-round, but it’s the local that affects us most. Thank you for your stellar service in getting that information out. Thank you for running this local newspaper for as long as you could – hopefully you will continue providing us your perspective. Thank you so much for your wonderful insight over the years. I have always enjoyed reading your opinions on local issues. It saddens me to think of this as the last column from you. Enjoy your new endeavors and remember that you made a difference in many lives.